Did you know that more than 42% or people find basket reminder emails helpful -- and many do not expect an incentive in the email! 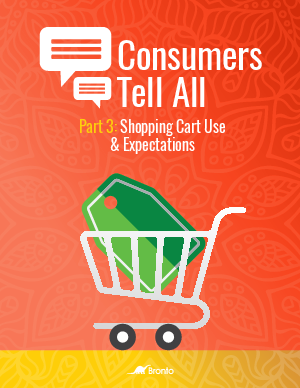 Bronto interviewed over 1000 online shoppers and gained valuable insight into their shopping basket perceptions and expectations. The resulting comprehensive report is available now.